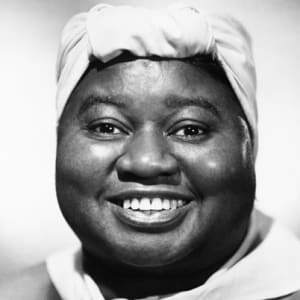 Hattie McDaniel was the first black performer to win an Academy Award, earning the best supporting actress prize for her role as Mammy in the epic Gone With the Wind (1939). All of Gone With the Wind's black actors, including Hattie McDaniel, were barred from attending the film's premiere in 1939. Actress Hattie McDaniel was born on June 10, 1893, in Wichita, Kansas. By the mid-1920s, she became one of the first African-American women to perform on radio. In 1934, she landed her on-screen break in the film Judge Priest. She then became the first African American to win an Oscar in 1940, for her role as Mammy in Gone with the Wind. In 1947, after her career took a downturn, she began starring on CBS radio&apos;s The Beulah Show. 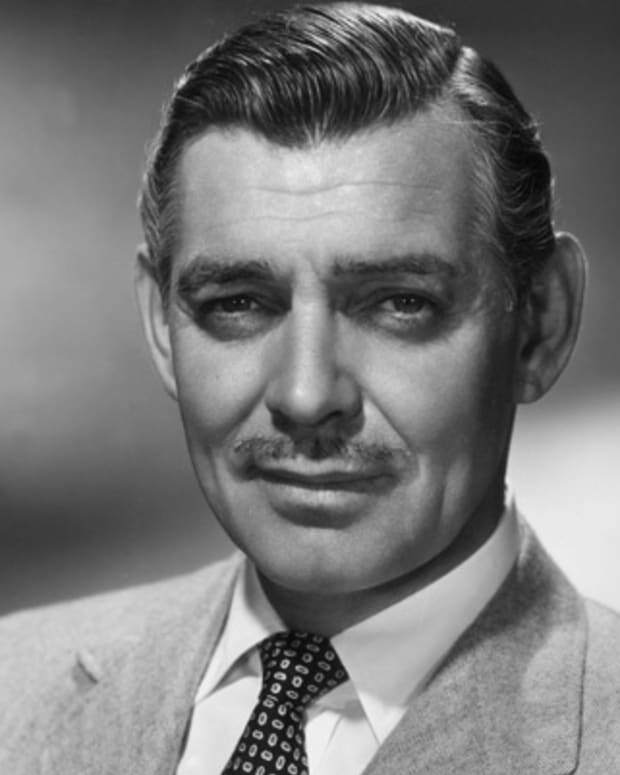 McDaniel died on October 26, 1952, in Los Angeles, California. In 1939, McDaniel was widely seen in a film that would mark the highlight of her entertainment career. As Mammy, the house servant of Scarlett O&apos;Hara (Vivian Leigh) in Gone With the Wind, McDaniel earned the 1940 Academy Award for Best Supporting Actress—becoming the first African American to win an Oscar. Yet all of the film&apos;s black actors, including McDaniel, were barred from attending the film&apos;s premiere in 1939, aired at the Loew&apos;s Grand Theatre on Peachtree Street in Atlanta, Georgia. 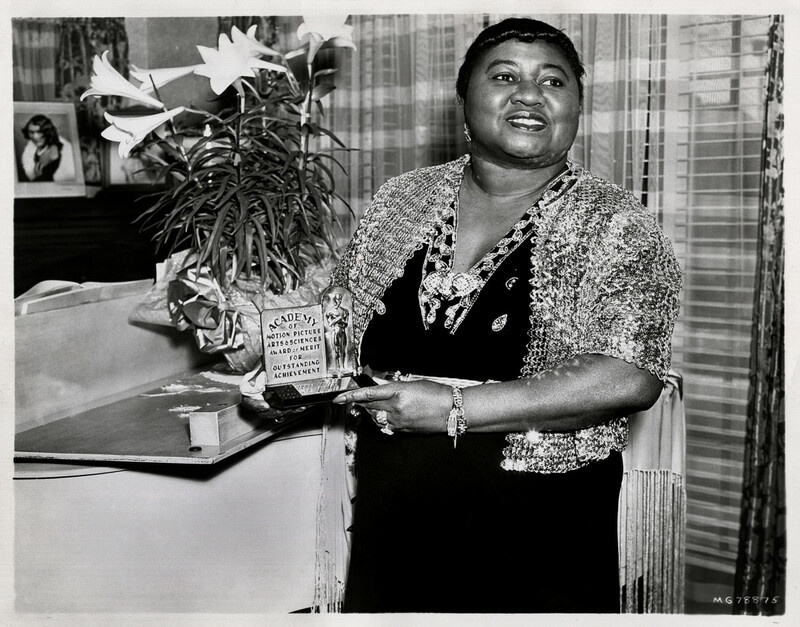 Hattie McDaniel was born on June 10, 1893, in Wichita, Kansas, with some sources listing her year of birth as 1895. She was her parents&apos; 13th child. Her father, Henry, was a Civil War veteran who suffered greatly from war injuries and had a difficult time with manual labor. (Henry was later described by one of his sons as a minister, though this was a fictionalized account.) Her mother, Susan Holbert, was a domestic worker. In 1901, McDaniel and her family moved to Denver, Colorado. 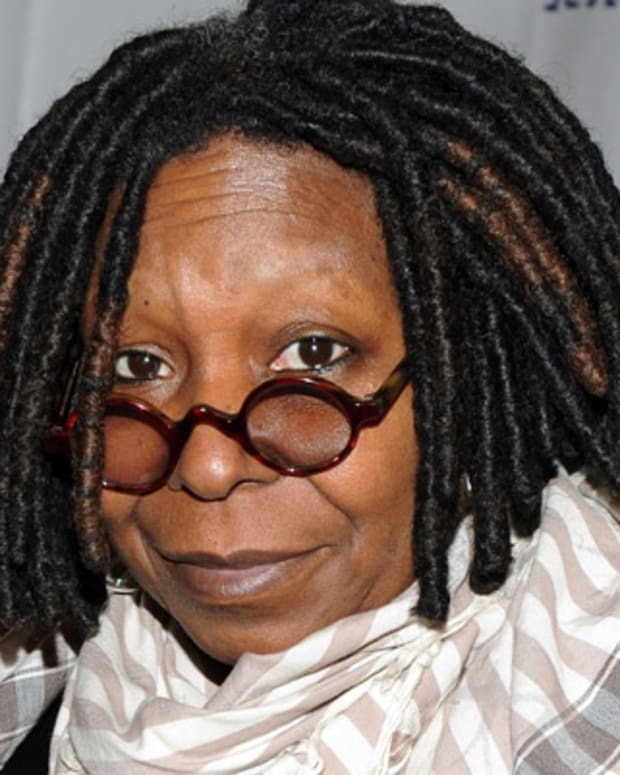 There she attended the 24th Street Elementary School, where she was one of only two black students in her class. Her natural flair for singing—in church, at school and in her home—was apparent early on and gained her popularity among her classmates. While at East River High School, McDaniel started professionally singing, dancing and performing skits in shows as part of The Mighty Minstrels. In 1909, she decided to drop out of school in order to more fully focus on her fledgling career, performing with her older brother&apos;s own troupe. In 1911, she married pianist Howard Hickman and went on to organize an all-women&apos;s minstrel show. In the 1920s, McDaniel worked with Professor George Morrison&apos;s orchestra and toured with his and other vaudeville troops for several years. By mid-decade, she was invited to perform on Denver&apos;s KOA radio station. Following her radio performance, McDaniel continued to work the vaudeville circuit and established herself as a blues artist, writing her own work. When projects weren&apos;t coming in, she took on attendant work to supplement her income. Much to her relief, in 1929 she landed a steady gig as a vocalist at Sam Pick&apos;s Suburban Inn in Milwaukee. A year or so later, McDaniel&apos;s brother, Sam, and sister, Etta, convinced her to move to Los Angeles, where they had managed to procure minor movie roles for themselves. Sam was also a regular on a KNX radio show called The Optimistic Do-Nuts. Not long after arriving in L.A., McDaniel had a chance to appear on her brother&apos;s program. She was a quick hit with listeners and was dubbed "Hi Hat Hattie" for donning formal wear during her first KNX performance. In 1931, McDaniel scored her first small film role as an extra in a Hollywood musical. Then in 1932, she was featured as a housekeeper in The Golden West. McDaniel continued to land parts here and there, but as roles for black actors were hard to come by, she was again forced to take odd jobs to make ends meet. During World War II, McDaniel helped entertain American troops and promoted the sale of war bonds, but she soon found the film offers to be drying up. She responded by making a strategic return to radio, taking over the starring role on CBS radio’s The Beulah Show in 1947. In 1951, McDaniel started filming for the television version of The Beulah Show. Unexpectedly, she suffered a heart attack around the same time, and was forced to abandon her career upon being diagnosed with breast cancer. 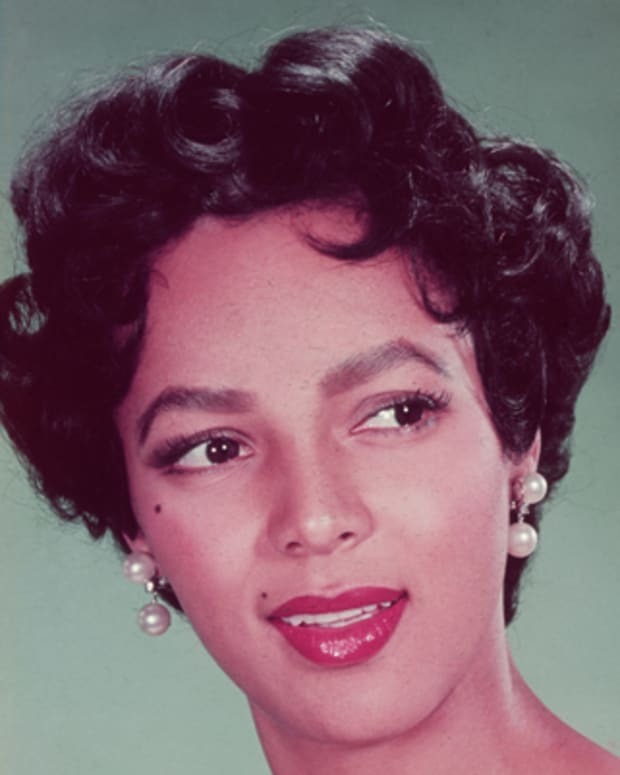 Since playing Mom Beck in The Little Colonel, McDaniel had been attacked by the black media for taking parts that perpetuated a negative stereotype of her race; she was criticized for playing servants and slaves who were seemingly content to retain their role as such. 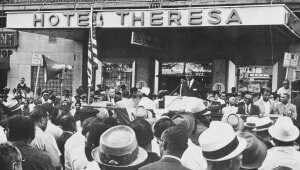 Walter White, then head of the National Association for the Advancement of Colored People, pleaded with African-American actors to stop accepting such stereotypical parts, as he believed they degraded their community. He also urged movie studios to start creating roles that portrayed blacks as capable of achieving far more than cooking and cleaning for white people. In her defense, McDaniel responded by asserting her prerogative to accept whatever roles she chose. She also suggested that characters like Mammy proved themselves as more than just measuring up to their employers. Hattie McDaniel lost her battle with cancer in Los Angeles, California, on October 26, 1952. After her death, the groundbreaking actress was posthumously awarded two stars on the Hollywood Walk of Fame. She was inducted into the Black Filmmakers Hall of Fame in 1975, and honored with a commemorative U.S. postage stamp in 2006. A well-received biography on her life was published in 2005—Hattie McDaniel: Black Ambition, White Hollywood, by Jill Watts. In early 2018, it was revealed that producer Alysia Allen had obtained the film rights to the book and was looking to develop a biopic. 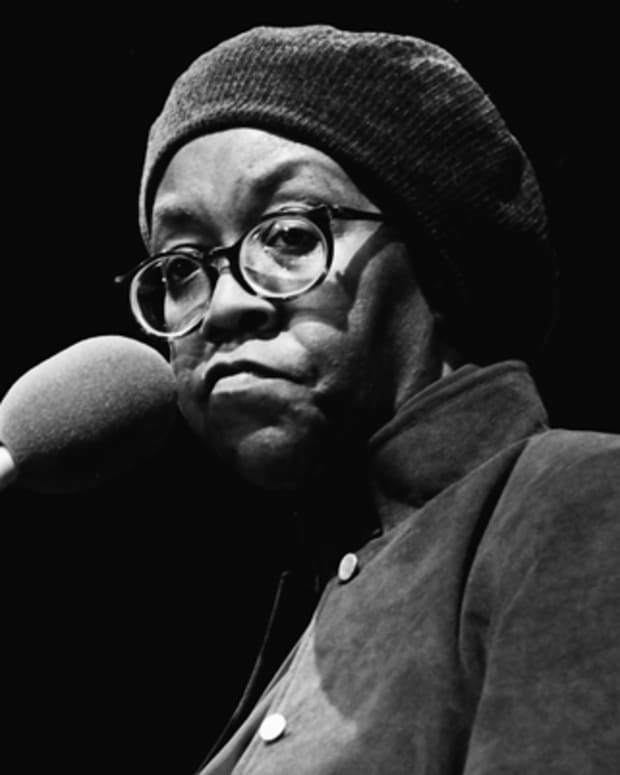 Gwendolyn Brooks was a postwar poet best known as the first African American to win a Pulitzer Prize, for her 1949 book Annie Allen. Halle Berry became the first African-American woman to win the Academy Award for best actress following her performance in 'Monster's Ball.' She has also starred in 'Swordfish,' 'Die Another Day,' 'Gothika' and the 'X-Men' film franchise. 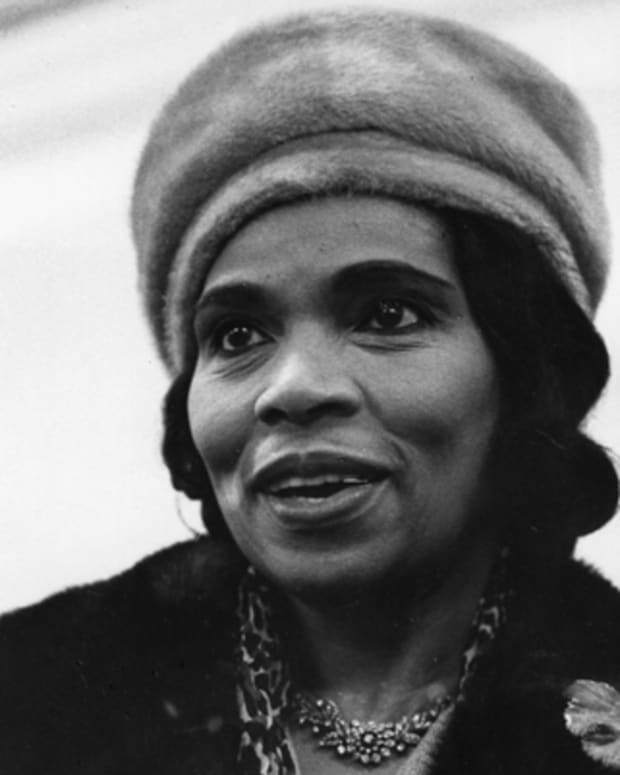 Deemed one of the finest contraltos of her time, Marian Anderson became the first African American to perform with the New York Metropolitan Opera in 1955. 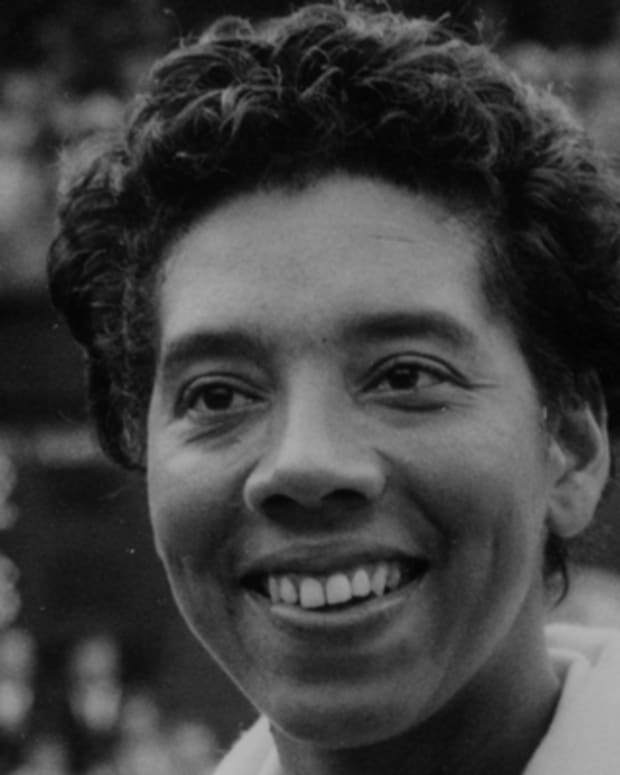 Althea Gibson was the first African-American tennis player to compete at the U.S. National Championships in 1950, and the first black player to compete at Wimbledon in 1951. She also broke racial barriers in professional golf. 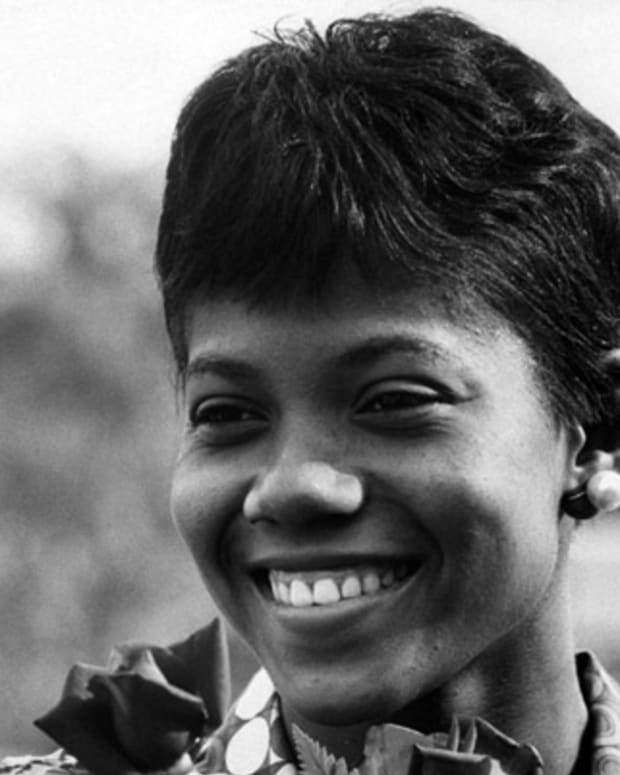 In 1960, Wilma Rudolph became the first American woman to win three gold medals in track and field at a single Olympics. 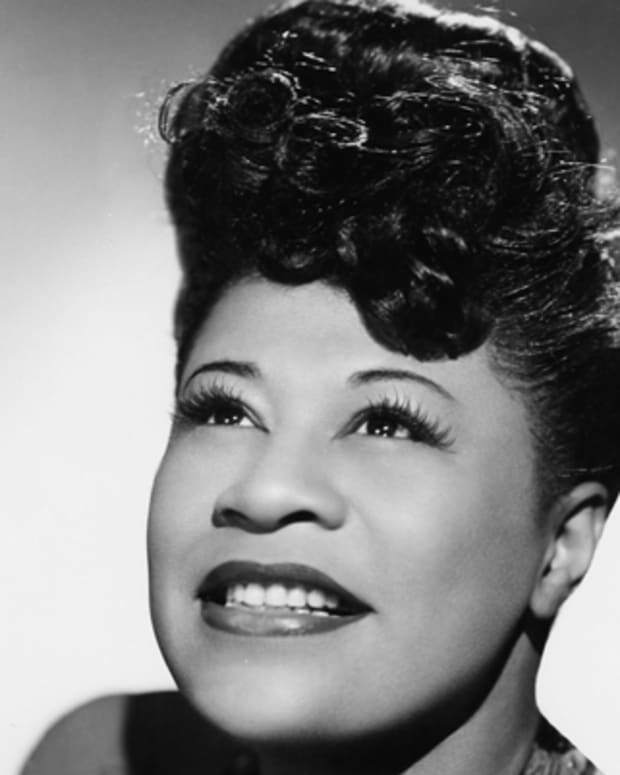 Ella Fitzgerald, known as the "First Lady of Song" and "Lady Ella," was an American jazz and song vocalist who interpreted much of the Great American Songbook.